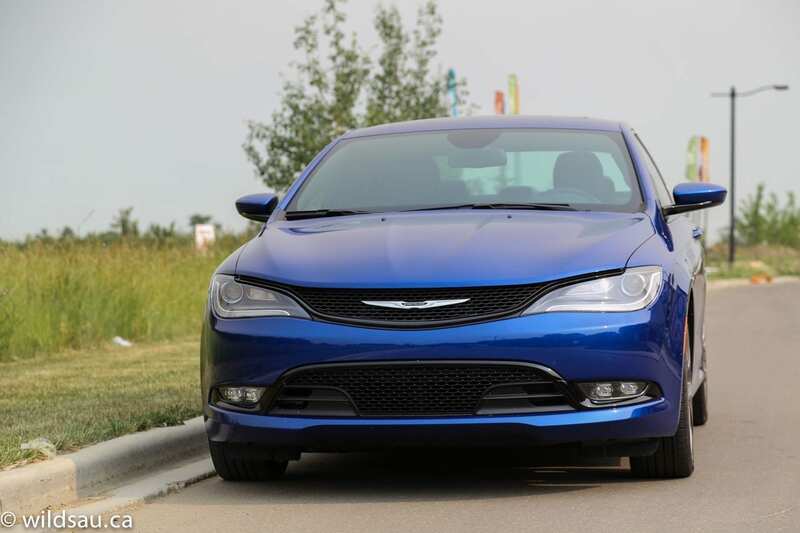 Chrysler’s entry-level car, re-envisioned from top to bottom, is a stunner, but it turns out much of the beauty is just skin deep. To say the 200 got a make-over is an understatement. It’s been redone from head to toe, and from a styling perspective, it’s been done very well. 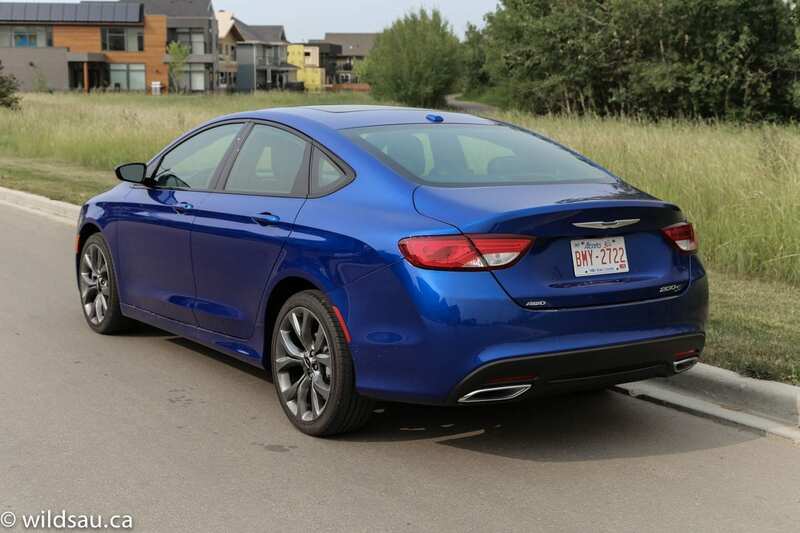 Chrysler has loaded it up with tech, luxury and goodies, and it’s riding on a Fiat platform now. The outside skin is stunning from many angles. The car gets a lot of looks, and it’s a nice car to look at. I had plenty of onlookers ask me what it is, and it was often the object of admiration at red lights. The 200 has a nice fresh shape, especially considering what we were forced to look at in terms of the former 200/Sebring. It’s sleek, modern, muscular and aggressive without ever going overboard. 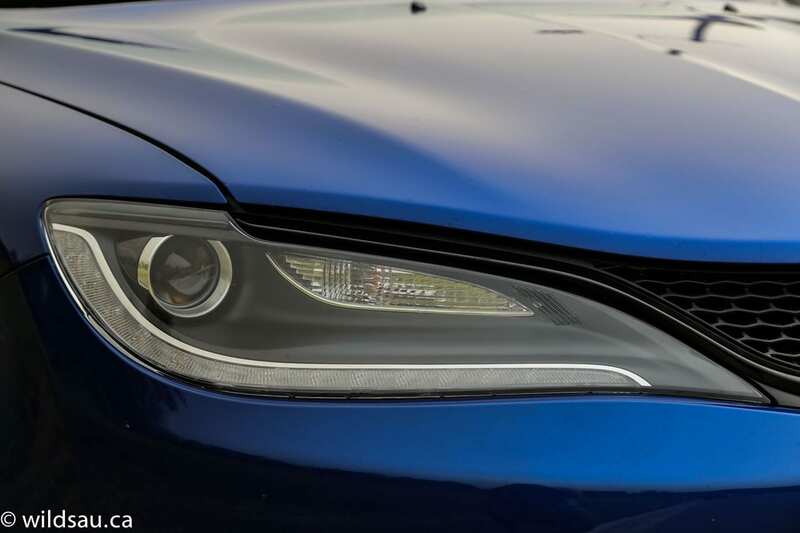 The front end gets HID headlights and LED driving lights that are very bright and actually made me think of an Audi A7 when it was coming down the street. 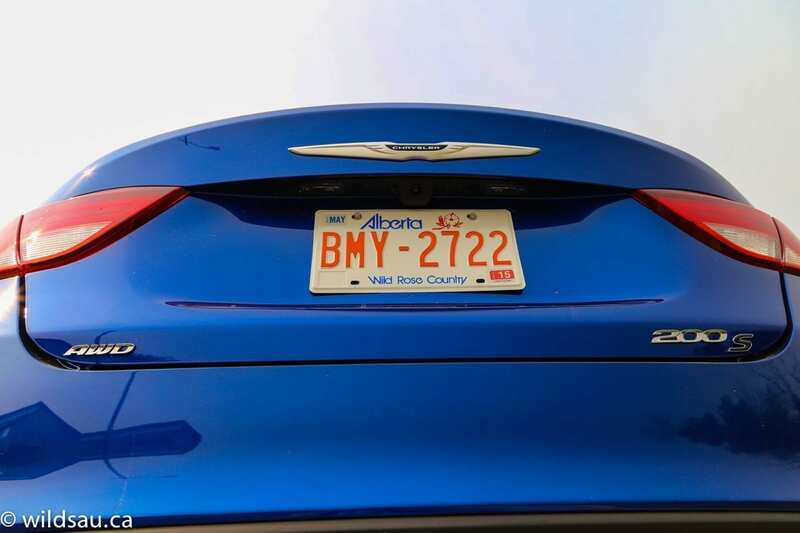 Likewise, the rear end sports some slick tail lights and integrated dual exhaust tips. 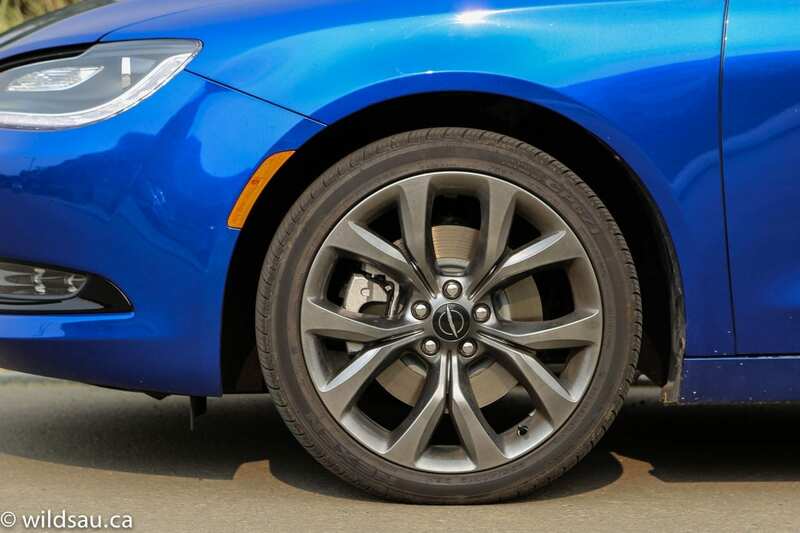 My review car had beautiful “Hyperblack” 19-inch rims that fill the fenders. 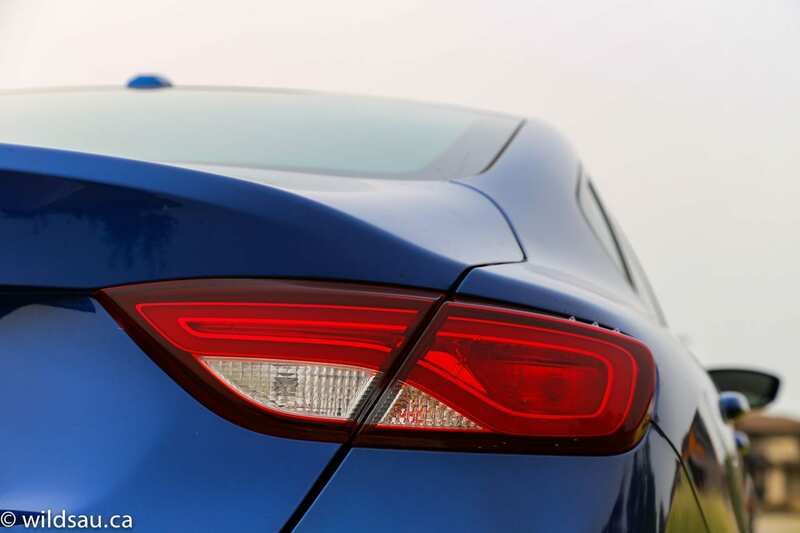 Overall, the car comes across as a whole different vehicle than the former models, and you can’t help but think it’s a more sophisticated offering as you appreciate its new lines. I’m guessing the fact that my car came in Vivid Blue Pearl doesn’t hurt either. 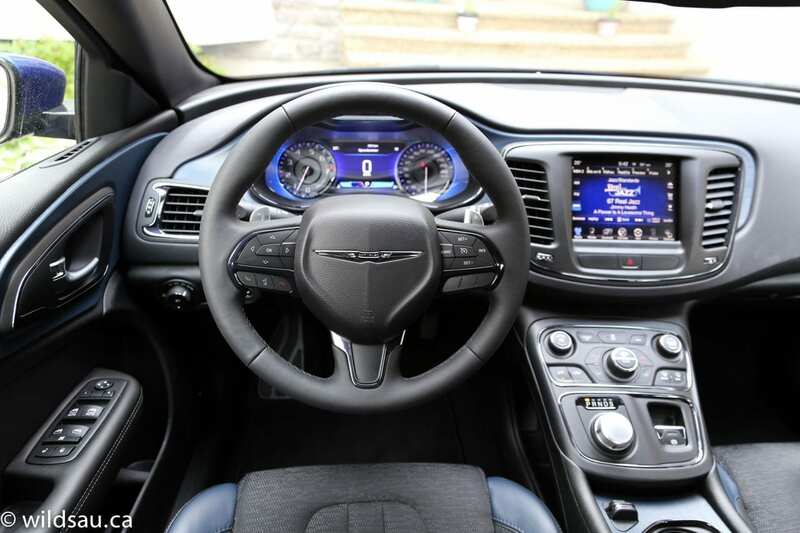 At first glance, the interior comes across as pretty awesome. They’ve certainly stepped out a bit and tried to do something different, and it works pretty well for the most part. The materials are a mixed bag. 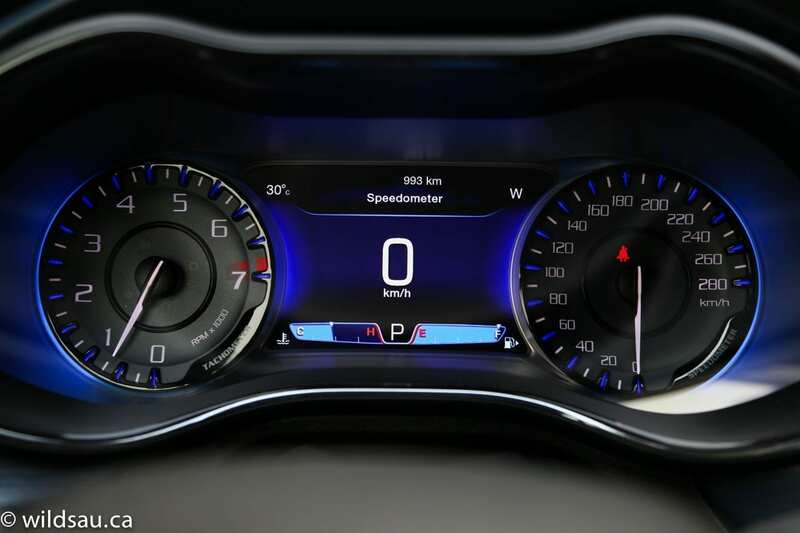 Yes, the upper part of the dash is crafted out of an immense piece of soft-touch plastic but much of the rest of the car is fitted with hard plastics that look and feel cheap. Certain areas like the side of the centre console feel hollow and really give a sub-standard impression. The fit and finish is pretty good, but not the best. And even with the coloured plastic trim bits inside, the black interior is very dark. I’ve seen pictures of the lighter interior and it seems to be a much more pleasant space. The 200’s heated steering wheel is very chunky and quite huge. Hilariously, the gauges behind it are actually labeled “Tachometer” and “Speedometer” just in case you’re not sure what it is you’re looking at. 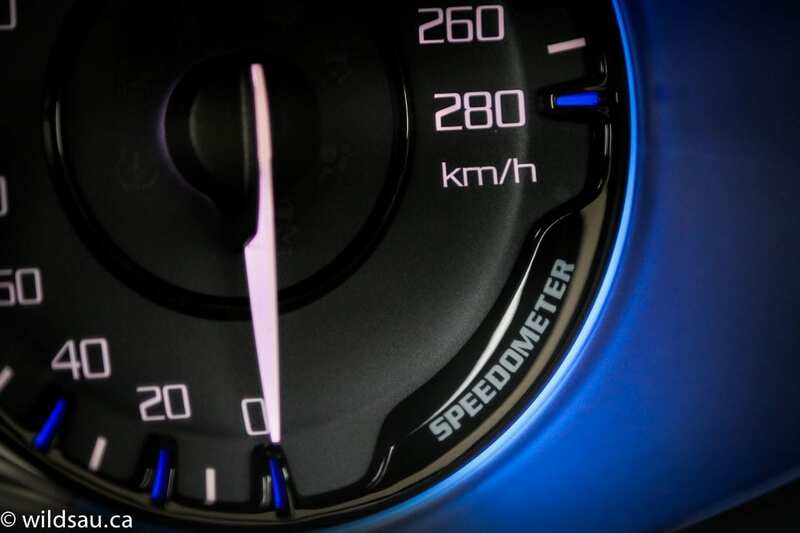 The speedometer goes to 280 km/h and is cramped because of that. Between gauges is a large, very well thought out driver information screen offering a wealth of information. I found that the plastic shield over the gauges had a lot of glare coming off it and that often got irritating. 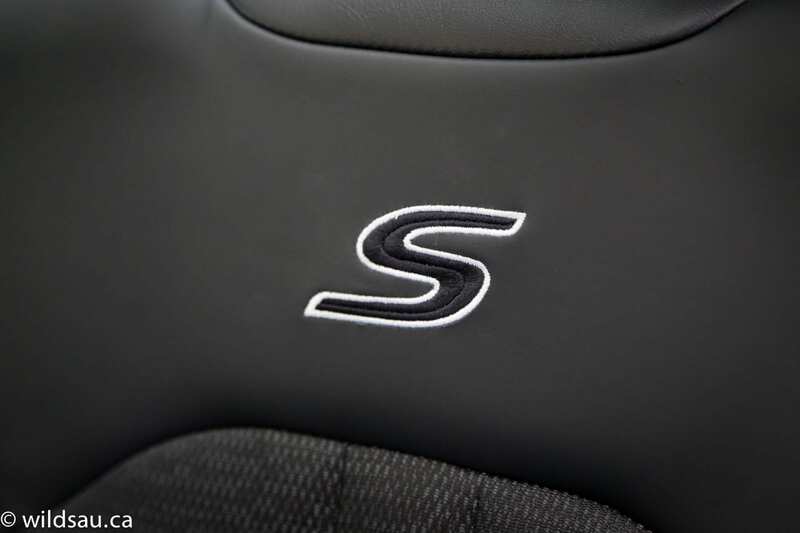 While the heated seats are very comfortable and supportive, I was not fond of the fabric and leather-trim combination – the multi-toned, multi-textured approach seems too busy and isn’t very nice to look at but looks are pretty subjective. Front and centre is the square 8.4-inch uConnect touchscreen. I think it’s one of the best systems out there – well laid out, good menus and access to functions. 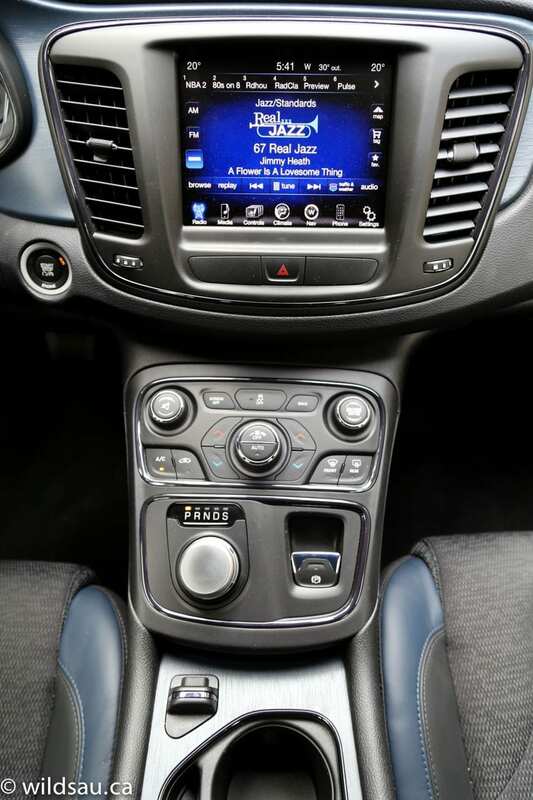 Phone, media, navigation, climate control and vehicle settings are all managed here and the only controls other than the touchscreen are two knobs and a back button. Nice and clean. 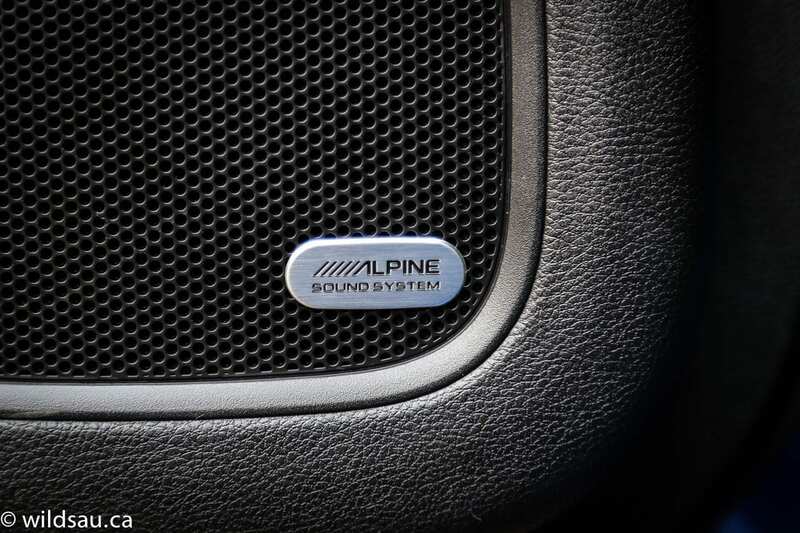 The Alpine-branded stereo sounds good, but when the volume was even slightly turned up, we heard a terrible rattle with every bass note – even when the bass was turned down. The centre console houses the rotary shifter dial. It works fine and looks like a nice knurled piece of machined metal, but it’s actually an insubstantial piece of plastic that feels very cheap and jiggles around in its spot. Overhead is a massive panoramic sunroof – the front section tilts and slides open and the whole thing can be covered with an electric sunshade. Driver assistance comes from a blind-spot monitor, a rear-view camera and a cross-path detection system. The remote starter is nice too. The back has three seats, each with a headrest and seatbelt. I thought the seats weren’t that comfortable and thanks to that swoopy roofline, head room is at a premium – I am 5’10” and my carefully-coiffed hair was touching the headliner. The leg and foot room, however, are quite generous. 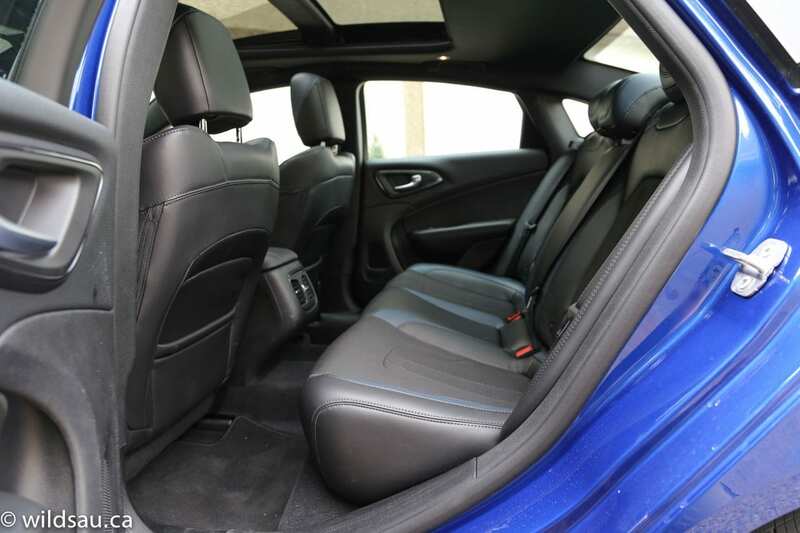 The rear middle position is almost useless – narrower than most, straddling a large floor tunnel and bumping up against the back of the centre console which protrudes rearwards, it’s enough to nullify any kind of comfort for this passenger. 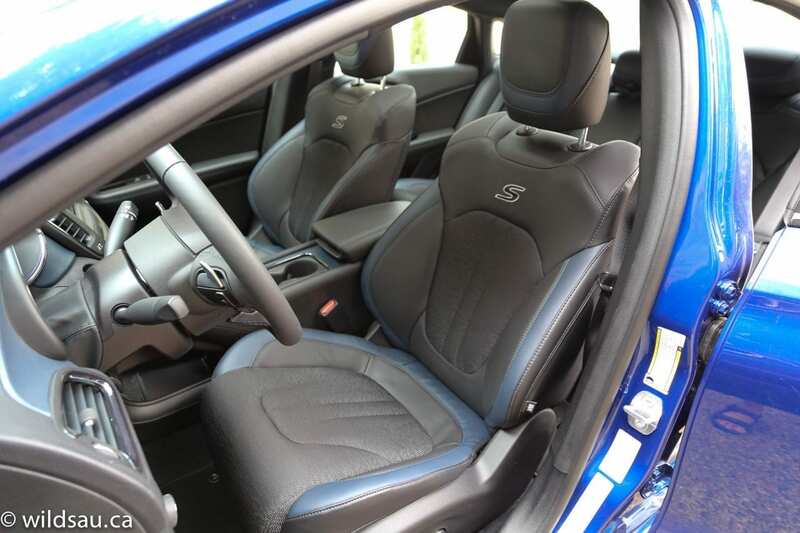 The others get to play with adjustable air vents, and the middle seatback folds down to become an armrest with two cupholders and a lidded storage compartment. We got our three kids back there a couple times, but it’s one of the few cars where none of our kids wanted to sit in the middle because even little people are treated poorly in that seating position. There are two sets of LATCH anchors for child seats if you need them. 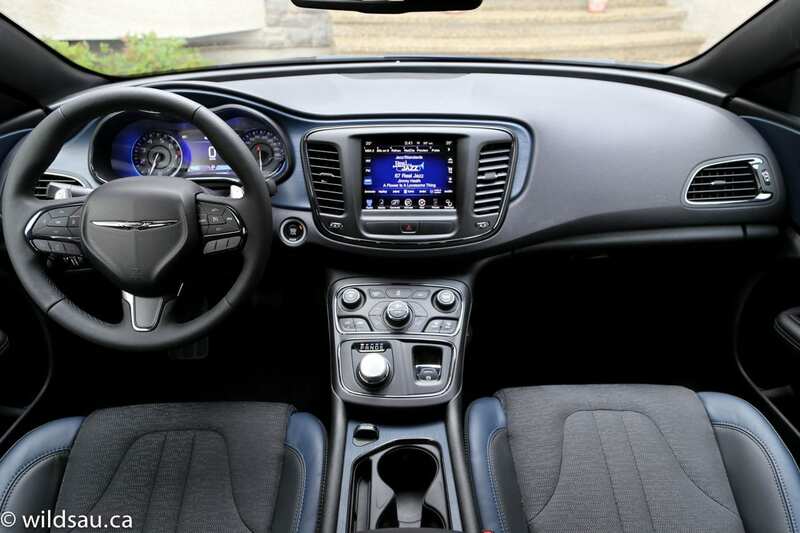 Chrysler adds a nifty innovation for the centre console – the dual cupholders can be moved back and out of the way, exposing a nice deep storage well, where you’ll also find 12V, USB and auxiliary plugs. 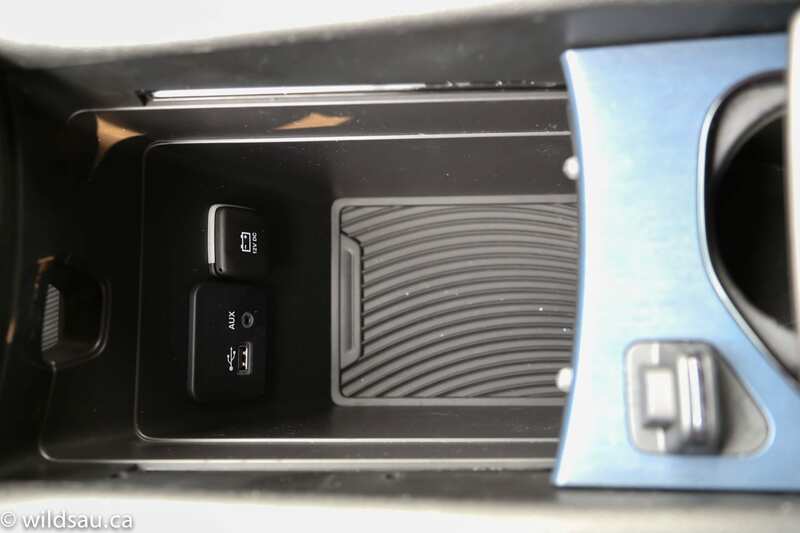 There’s also an open “shared” storage area under the centre console, which both the driver and front passenger can access. 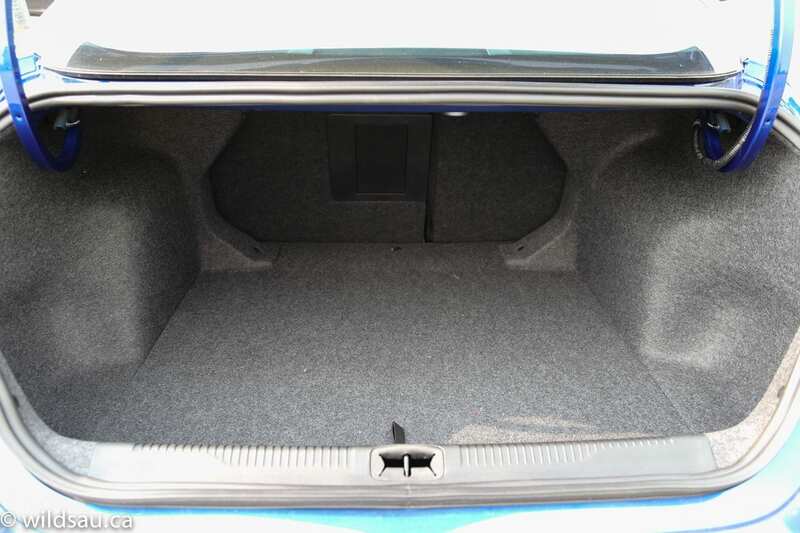 The trunk is a good size at 411 litres, and the rear seats fold down, splitting 60/40, if you need to add a little more cargo capacity. 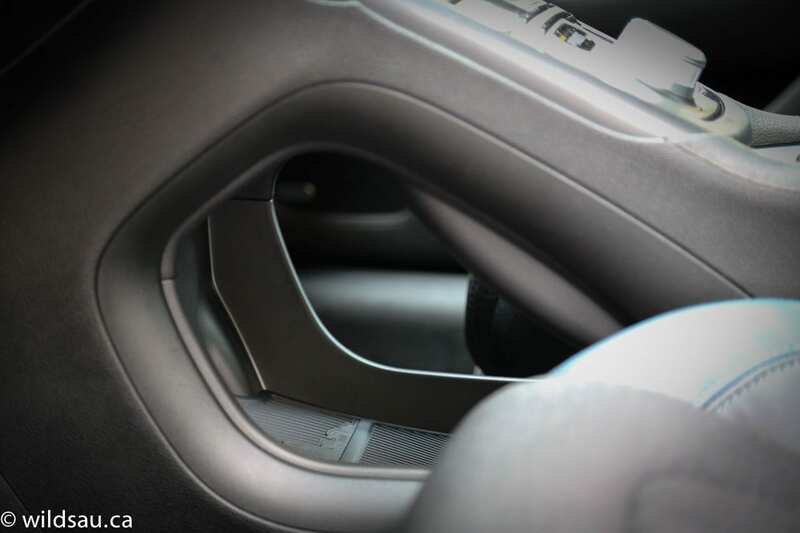 There is also a pass-through allowing you to keep your rear passengers in place while you’re transporting longer, skinnier items. 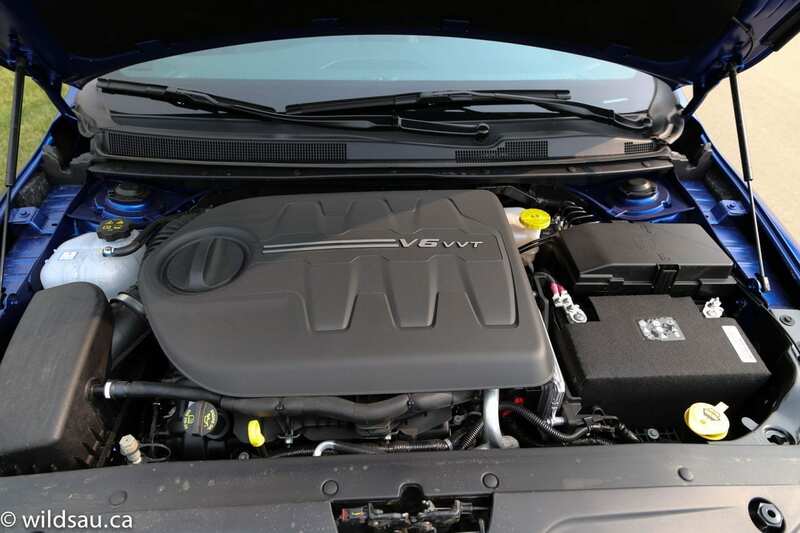 The Pentastar V6 is the optional upgrade engine in the 200. The 3.6-litre puts out some solid numbers. 295 horsepower and 262 lb.ft of torque. In this car, it’s mated to the first-in-class 9-speed automatic transmission and an all-wheel drive system. Fuel economy is rated at a reasonable 12.8 L/100 km (18 US mpg) in the city and 8.1 L/100 km (29 US mpg) on the highway. I made no effort to save fuel, and ended up averaging a surprisingly decent 12.0 L/100 km (20 mpg). Beating a car’s ratings is unusual enough, especially in a nearly-4000 pound sedan sporting all-wheel drive and almost 300 horsepower. The fuel tank is smallish at 60 litres. As in other applications, I found the Pentastar to be powerful, offering a lot of low-end torque so there’s no lag off the line. The V6 will treat your ears to a nice sonorous engine note when you step on it, otherwise it remains relatively quiet. It’s when it comes to the 200’s transmission that the driving experience starts on a downward spiral. I found the incessant lurching between lower gears and the hesitation between downshifts to be awful. The new autobox hangs on to gears longer than necessary, and this brings about noticeable lag when you’re driving. 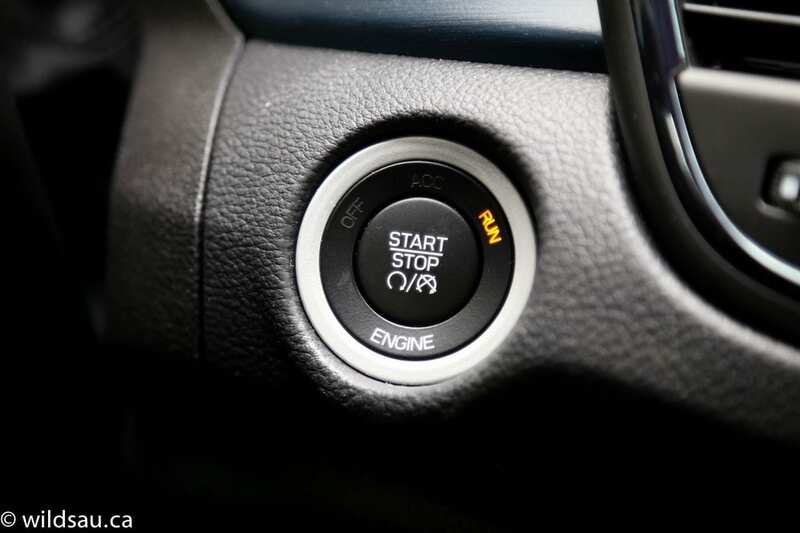 To be honest, acceleration can be frightening at times, but not in a good way, as it takes between two and three seconds to downshift into the right gear and get a move on, which can be downright scary if you’re changing lanes and moving into faster traffic. 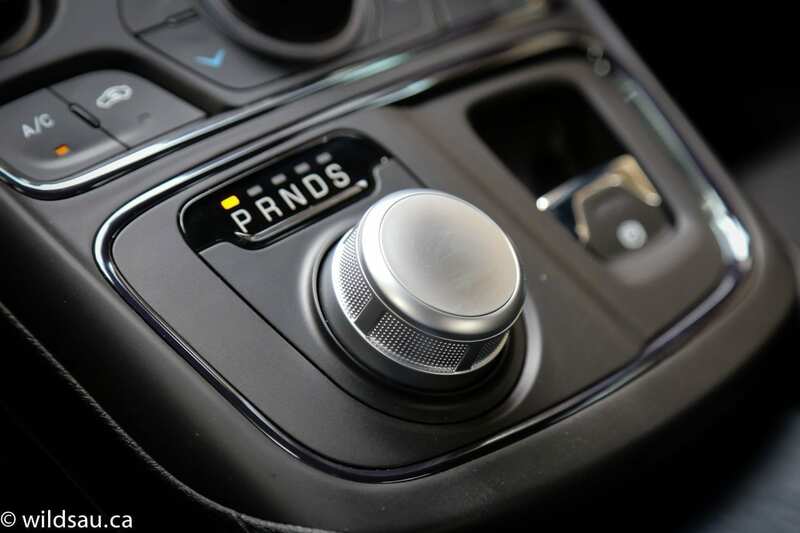 Using the paddle shifters makes no difference – shifts are slower than molasses in January, and truthfully, this might be one of the slowest automatic transmissions that I’ve manually shifted. Putting it into Sport mode seems to pick things up a bit, but one shouldn’t have to do that. The 200’s ride is definitely firmer than I expected and actually gets uncomfortable over roads that aren’t perfect. We found that any hits over any smaller imperfections like expansion joints come through to the cabin and anything major like a pothole is downright jarring – I thought I was being picky but a number of other passengers noted this as well. Frankly, the suspension caused me to weave around any kind of imperfections in the road and it just got tiring after a while. I’ll blame the low-profile 235/40-sized rubber for some of this. 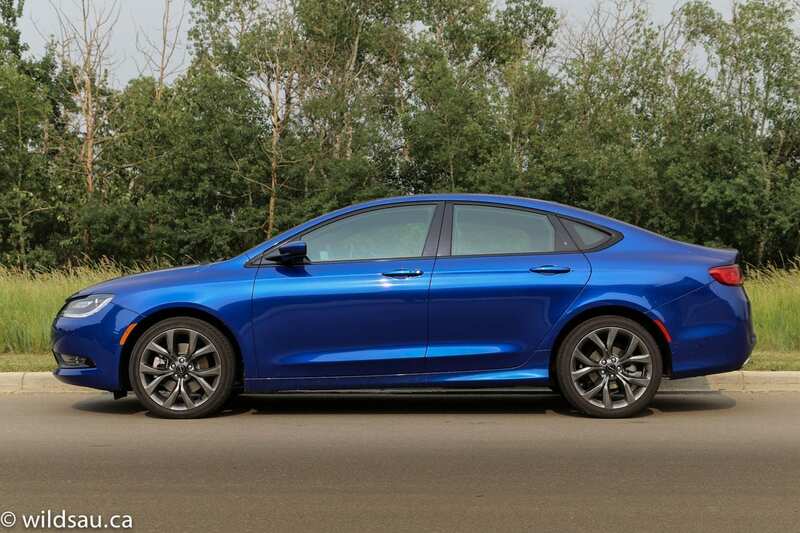 The car’s handling is decent and it claws at the pavement when you throw it into a corner, but the electronic steering isn’t very aggressive and does not encourage any kind of sporty driving, and because of the slower turn-in, the whole car feels heavier and bigger than it actually is. The all-wheel drive never came into play and remained transparent to me. I found the brakes effective but pretty squishy. The 200S is a good-looking ride. 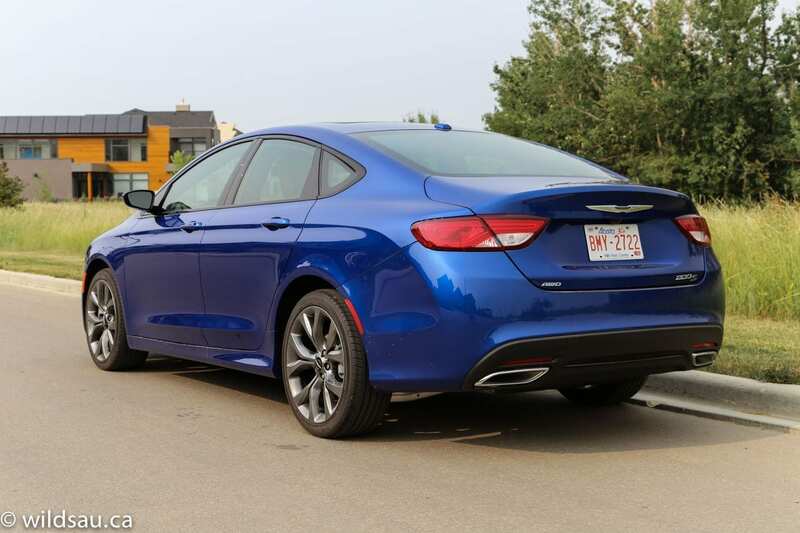 The styling on the outside and the inside have really taken this model up a notch or two, and while it comes across as a much more refined, upscale vehicle than it was, there are some issues. It gets a nice engine but the transmission doesn’t let you access it in an enjoyable way. I said the steering made the 200 feel heavier and bigger than it really is, but in the end, maybe everything plays together to make it seem that way. WAF (Wife Acceptance Factor) was quite high. She actually enjoyed driving it as she cares less than I do about transmission smoothness and effectiveness, turn-in and accessing an engine’s power. She liked the seats, the uConnect system and the styling. The 2015 200 does have a lot to offer, although the transmission and ride issues were major detractors for me. 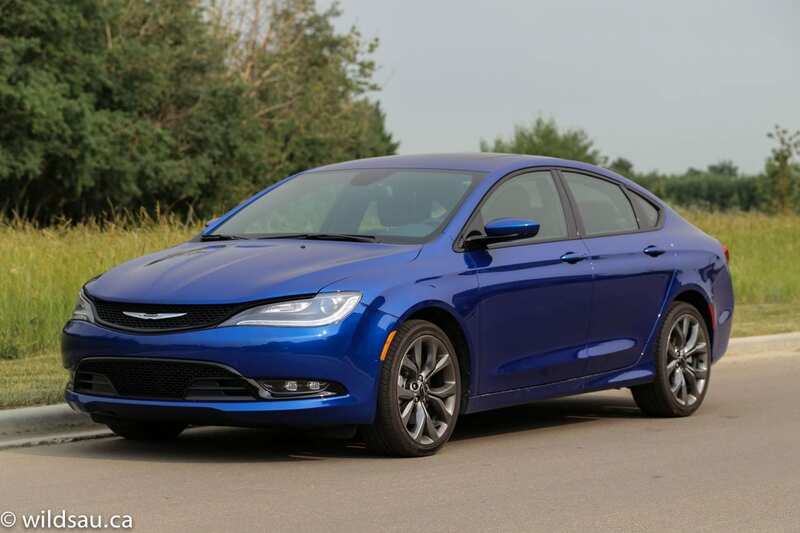 I say good on Chrysler for doing something different. The previous generations sold well but I believe much of it was because of their price/value. 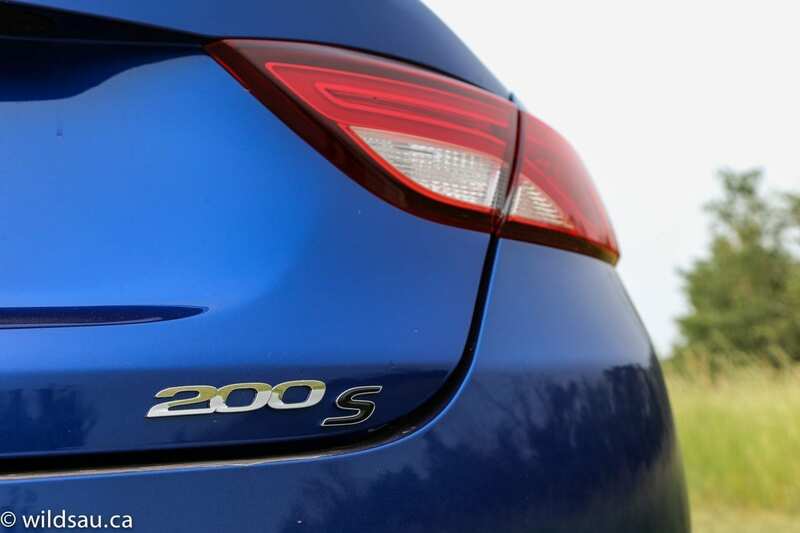 The new 200 remains a car that you can get into for a reasonable price (although the S and top-trim C get pretty pricey), it does a lot of things well and it finally looks good inside and out.